​Because summer wouldn't be complete without camp! This camp is designed for our campers to: have a lot of Summer Fun, make New Friends and learn New Skills. All snacks will be healthy and nutritious. We are having our camp at The Light Teen Center right behind St. Luke's church. An extremely convenient location, The Light Teen Center is located just across the street from Copley High School. It's a wonderful building with multiple area inside in case of rain and ample space outside for fun summer activities. 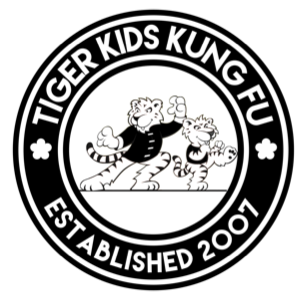 The head instructors of the Tiger Kids Kung Fu program, Karen and Adam Boyer, will be leading the camp instruction. 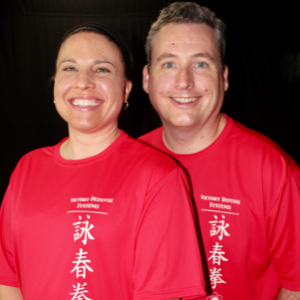 Karen and Adam have been teaching students Kung Fu for the past 11 years as well as 11 summer camps at the Shaw JCC and 5 summer camps at Grace Church. They will be accompanied by a team of all-stars composed of advanced black belt students who will help provide a safe and fun learning environment for all campers. These All-Stars are students who have been training Kung Fu for a minimum of 5 years and have at least 2 camps worth of experience. We will be offering a half-day option for our youngest campers - either in the morning or after lunch. Both sections will be the same - it is all about what works best for your schedule. This camp will be action and craft packed while also focusing on how to effectively handle stranger and bully situations. Our full camp has been 5 years in the making and is exciting and fast paced. Each day, we will have a specific focus for our discussions, crafts and activities. Additionally, the campers will be using Kung Fu weapons and will learn ways to effectively handle bully and stranger situations. Space is limited - Sign up early today and get a discount! After clicking submit, you will be taken to a confirmation page that will have the Release Policy so you can print or make a pdf.